Shopping for Tokyo Ghoul Statues? 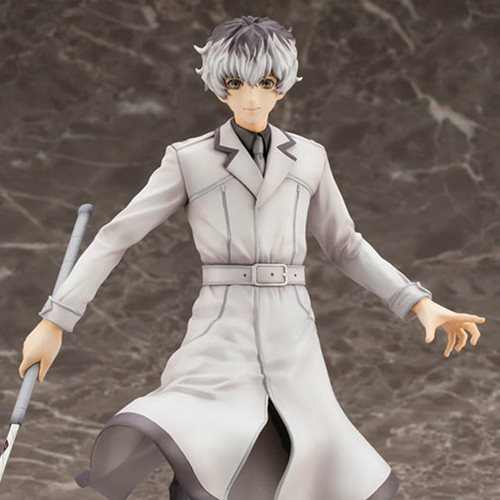 From the Kotobukiya ARTFX J line is the main character from Tokyo Ghoul: re, the 2018 anime adaptation of the sequel manga to the popular Tokyo Ghoul series, Haise Sasaki! Haise's peaceful expression reveals his personality as the relaxed yet reliable Mentor of the Quinx squad. 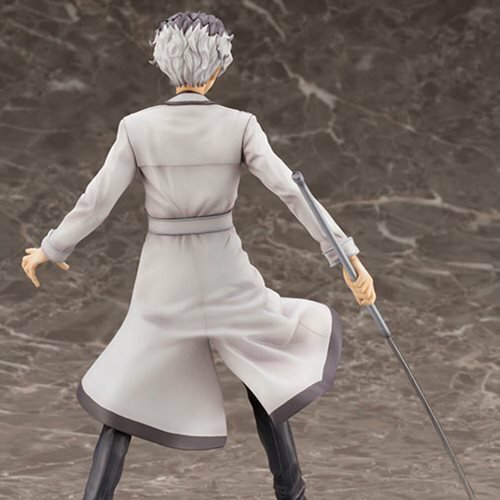 His flowing coat and Quinque "Yukimura 1/3" are recreated in elaborate detail. In addition to the default expression, the statue also comes with an extra "awakened" face part portraying his red kakugan, which stands in stark contrast with his default mellow expression. 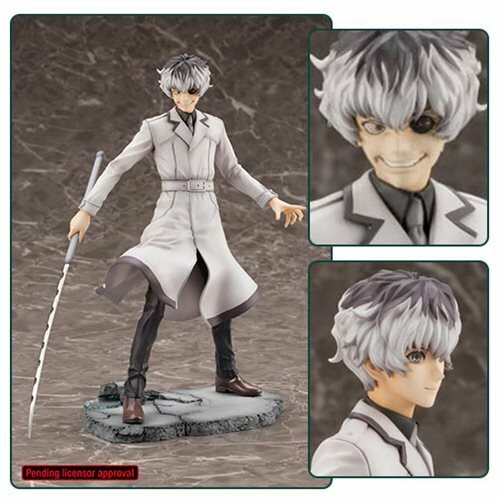 The duality represented by the two face parts and the high level of detail rendered in the sculpting and coloring make the Tokyo Ghoul: re Haise Saski ARTFX J Statue one you won't want to miss! Statue measures roughly 8 1/2-inches tall. The ARTFX J Series brings characters that are popular in Western audiences to their fans throughout the world.